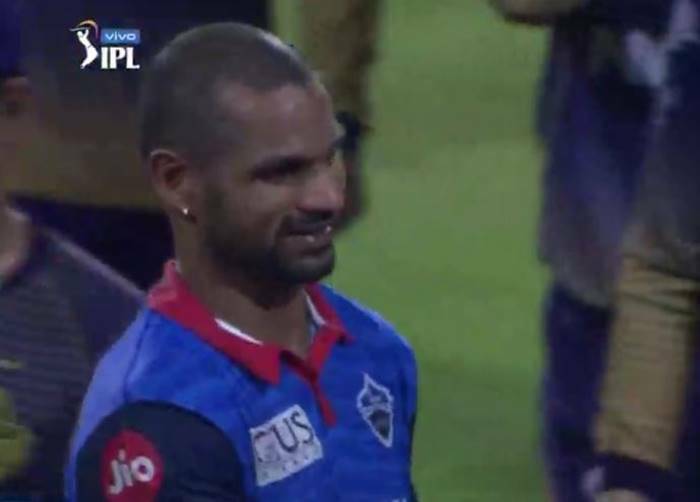 Shikhar Dhawan played the 150th match of his IPL career against Kolkata Knight Riders at Eden Garden Stadium on Friday. The Delhi Capitals were chasing a score of 178 runs set by KKR in the match. Dhawan smashed several boundaries and scored 97 runs in all. He was just 3 runs away from his maiden century in IPL as well as T20 cricket, taken as a whole. After a long-lasting thunderous partnership with Rishabh Pant, Colin Ingram stormed the pitch in the last couple of overs. The match almost turned one-sided when Delhi Capitals needed just 12 runs in 2.1 overs. 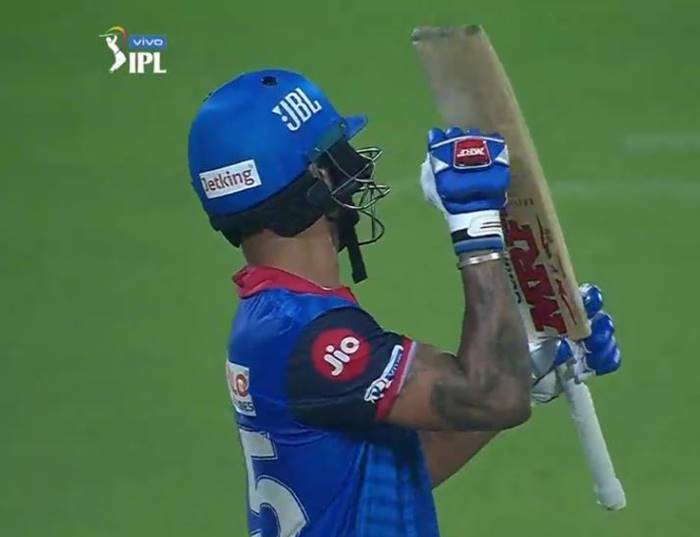 After hitting a few runs, Ingram gave the strike to Dhawan to complete his century. Dhawan, however, just managed to fetch a single on the ball, with Ingram coming back on strike. They still had 7 balls left with only 3 runs to win and Colin Ingram was expected to nudge the ball to score a single and get Dhawan back on strike. But he decided not to take a chance for his team and hit the ball high smashing six. He, thus, sealed the victory for Delhi Capitals. And so, Dhawan was robbed of his maiden ton in IPL as well T20 tournament by Ingram. This entire incident has inspired a meme fest on social media. People have been guessing Dhawan’s honest reaction to Ingram stealing away his ton. We really feel sorry for Dhawan. We hope he bounces back to his form in the next match as well and scores his much-awaited maiden T20 century. All the best!